Yesterday, I celebrated six months of awareness of my true nature: I am autistic (Asperger’s). This does not make me an expert (at least, not in the academic sense). It doesn’t grant me a magical power to speak for anyone else. In the last six months, I’ve investigated this topic–and indeed this “alternate world” (at least, for me) with abnormal intensity. But really, all I was doing was searching for terms and ideas that more-eloquently described what I had already been experiencing throughout my entire life. I had already felt those feelings, thought those thoughts, and struggled with those invisible differences; what I learned during my searching merely helped me identify and articulate them. During this search, however, I noticed some patterns (ha) that struck me. The official diagnostic criteria and other conventional authoritative sources of information focused on what they observed through their own perspective lens; specifically, what they observed what we couldn’t do or had challenges with. They cataloged these disabilities and challenges, filtering out and shoving aside any above-average talents and other positive points. It was the disabilities and the challenges that got printed in the manuals and distributed among the very professionals that many of us rely on for guidance. And actually, it’s already changing. 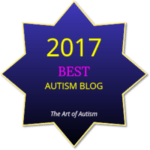 The Autism Shift (not my term; link to The Art of Autism website) is indeed underway. And there’s a shift occurring among a handful of other contemporary experts (Tania Ann Marshall and Steve Silberman–no matter what they have to sell, or what we think or how we feel about the fact that they’re not on the autism spectrum themselves, to my knowledge) are helping that happen by constructing a bridge between our autistic community and some of the more forward-thinking allistic (non-autistic) professionals out there. And more importantly, there’s a shift occurring among the autism spectrum community itself. We may all identify with different parts of–or places on–that shift; some of us are more rooted in the disability aspect, whereas others may pervert the new-found self-confidence (to varying degrees); I suspect that I oscillate back and forth, and I also suspect that I’m not alone in doing so. In the spirit of this two-pronged shift, I’d like to offer my thoughts. This is my perspective and nothing more. As I mentioned earlier, I don’t claim to speak for anyone else. However, these thoughts have been collected throughout the past half-year, consisting of a combination of original ideas (that I came up with on my own), “hive-mind” ideas (that several people within the spectrum community thought of independently, but around the same time), and other peoples’ ideas (that I never thought of until I came across someone else’s blog post or conversation). Everything I thought of on my own, or thought of in unison with others, or learned from others, ended up in one place. And today, I’ll share them with you. Asperger’s/autism becomes considered more of a non-pathological (“normal”) neurodevelopmental or neurological variant, instead of labeling Asperger’s/autism as a neurodevelopmental “disorder” (or worse, a “neuropsychiatric”, “psychiatric”, or “psychoemotional” “disorder”). I first began to suspect as much even before I realized I’m an Aspie myself; and I tweeted my personal experience of being on the spectrum (image below), and in (what I believe to be) true spectrum “hive-mind” fashion, an amazing autistic friend and talented fellow blog-writer fleshed out the concept beautifully in a blog post. I’d like to introduce the term neurological orientation, to refer to someone’s mental/cognitive framework, in the spirit of embracing neurodiversity. This need not be limited to simply whether one is on the spectrum or not; it could encompass the entire umbrella of neurodiversity. (For those new to–or less familiar with–the neurodiversity term, an excellent definition and intro can be found here.) This can be likened to our contemporary view of sexual orientation, in that there is no “right” or “wrong” orientation, nor do we “choose/elect” to be the way we are; we are simply born as we are. For fun, an informal or shorthand term for “neurological orientation” could be “neuro-type” or something similar. I’d also like to introduce the possible term (and concept) of a “neuro-cloud“ as opposed to a “spectrum”. The word spectrum, while potentially accurate and fitting, merely encourages misunderstanding. Some interpret it in terms of “severity” or “function(ing)” levels, which potentially causes false impressions and faulty assumptions. Indeed, we don’t all occupy points on a one-dimensional line. Instead, we each occupy our own unique space within a three-dimensional cloud, each of us having our own story to tell and combination of experiences, characteristics, strengths, weaknesses, and tendencies. The term “neuro-cloud”, as silly as it may sound at first to some, would pay our uniqueness and diversity their due respect. 1 – Referring to Asperger’s/autism as a classification, rather than a diagnosis. A diagnosis implies that something has gone wrong, that a person is ill, or has been saddled with an imperfection or ailment that must be fixed. Classification, on the other hand, is a much more neutral, non-inflammatory, and non-disabling concept. The currently-termed “diagnostic” process can be replaced with “assessment” or “evaluation” process. 2 – Removing the entire Autism Spectrum from the DSM (Diagnostic and Statistics Manual for mental disorders, the official reference text used in the US (and I believe other countries as well) during the diagnostic process). Absolutely no part of the autism spectrum has any business being included in such a manual, as it is not a mental illness or psychiatric condition of any kind. Receiving any kind of diagnosis from that manual can be considered stigmatizing, at least for some, and can have serious unintended consequences for many (including myself). Several well-respected contemporary field experts have proposed the creation of other assessment catalogs of mental/emotional/cognitive/neurological statuses or orientations, although I’m unable to locate or recall them at this time. 3 – Revising these newly-reallocated “diagnostic” criteria to contain more neutral terminology and include references to positive aspects, in line with the findings of more current information, which also includes the clinical observations of progressive professional experts in the field who accept and embrace neurodiversity. Spectrum-related strengths should be included alongside the currently-endless column of “deficits”, and negatively-connotative verbiage should be neutralized and destigmatized. For example, “persistent deficits in social interaction” could be replaced with “social anxiety; propensity toward social fatigue”; “repetitive motor movements” could be replaced with “self-soothing or focus-anchoring movements or activities”; “restricted fixated interests” could be replaced with “selective subject areas of increased interest or focus”. 4 – Removing the “function” level classification and labeling altogether, or at the very least, taking into consideration the fact that it is usually a fluid range that can fluctuate, as opposed to a set, static point. Most Asperger’s/autistic people I’ve talked to or seen writings from agree that our ability to “function” (i.e., carry out our daily tasks and goals, feeling relatively good physically and emotionally, and leading a generally high quality of life) varies from day-to-day. On the surface, I may appear “high-functioning”, as I’m married, self-employed, and not receiving any public assistance. Don’t be fooled; there are plenty of days (or portions of a day) where I may go mute, my tolerance/resilience is low, my words may be lost, my thinking may be foggy, and I simply can’t handle life in general. It can happen to any of us; in fact, it happens to allistic (non-spectrum) people, too; yet, they don’t get assessed for their “level of function” like we do. Therefore, functioning levels are relatively irrelevant. This topic will likely get its own post. 1 – An immediate termination of all autism spectrum prevention efforts and goals. This includes related projects, such as genome databases, autism-related genome identification, gene therapy development and its experimental trials, and the like. 2 – An immediate termination of all efforts to “cure“ autism spectrum conditions themselves. 3 – An immediate repeal of all legalized assisted suicide efforts for minors (as they can’t legally give consent or enter into any binding agreement as it is; parents and other guardians should not be able to make this kind of decision for anyone else, especially a child or dependent adult). 4 – An immediate reversal of all court decisions that have failed to prosecute and punish any parents, guardians, caregivers, and/or facility staff who have caused harm to any disabled, differently-abled, or neurodivergent children/dependent adults. This general, pervasive cultural ambivalence and nonchalance toward–or sympathy for or even support of–neurotypical people who have done harm to people on the spectrum (or those of any other mental/emotional/cognitive classification) has got to stop, and the cultural opinion has got to swing in the correct direction. Those actions cannot be tolerated. 5 – The consideration and treatment of neurodivergent classifications as a “protected class” (wherever we aren’t already), protecting us from discrimination, harassment, hate crimes, and the like, much like people of various sexual orientations are today. 2 – A requirement for inclusion by spectrum-related charities and other entities – to solicit our viewpoints, include us equally (if not primarily) in all decisions & leadership; i.e., we must be given equal representation on–or serve on–their executive/directing boards. 3 – A requirement for spectrum-related charities to fund free or reasonably-priced schools (K-12 and university) or programs within existing schools; these can help fund the programs proposed below. 4 – A privacy-protection requirement – all parents/guardians/teachers of autistic children (or dependent adults) must refrain from using names and/or photos of the spectrum person(s) in their care, especially if they’re prone to martyr-ranting on their blog, news articles, etc. Essentially, a spectrum classification should be privacy-protected and disclosing that information should require the consent of the spectrum person him/herself. Every child (and dependent adult) has the right to an Open Future, a concept that will receive its own post. 1 – New requirements for all who work with people of different neurodivergent orientations to become intimately familiar with–and accepting/embracing of–neurodiversity, as well as alternative communication methods. This applies to researchers, authors, teachers, professors, other educational entity staff, law enforcement, other emergency services (medical, fire, etc), counselors, therapists, and other healthcare providers of all types. Additionally, all involved professions should have to become certified in this new information, and should be required to attend continuing education each year or every two years, which should also include periodic recertification examination. 2 – A restructuring of all educational programs (including university levels) as needed (the extent of which may vary) to be inclusive of each major type of learning style, as well as several common alternative communication methods. This ensures that neurodivergent students can learn, communicate, and be accurately understood. It also increases the quality of their education and experiences in school environments. With the incredible amounts of wasteful, frivolous, and misappropriated spending that occurs at practically every education level (at least in the US), existing funds can easily be reallocated. 3 – A restructuring of all therapeutic methods/strategies to eradicate ineffective, stress-inducing, and harmful “therapies” immediately, as these are usually designed only to make us appear more “normal”, thus making the lives of others easier. Instead, I’m in favor of actually beneficial therapies focused on actually making our lives easier, more fulfilling, and less stressful, such as effective and practical stress-reduction methods, nutritional counseling for better general function, time-management strategies, memory-strengthening activities, neurological coordination exercises, constructive research-supported smartphone apps, etc (these all already exist, by the way! They’re just overshadowed by the insistence of many professionals on methods like ABA instead). 4 – Of course, an immediate, global (and strict) ban on electroshock “therapies” and other painful “treatment” methods. I realize that as society currently stands, that some of these ideas are mere pipe dreams. Scientific research lags as much as 30 years behind clinical observation, and implementation often lags 20-50 years behind the research. Therefore, it’s entirely possible that I won’t see these things in my lifetime. But it’s important to think beyond our own lifespans. I’m envisioning future generations of people who won’t have to read horrific headlines or feel down about themselves because of all of their “officially” described “deficits” and attempts to change who they are perpetrated by the “normal”-but-ignorant. I’m imagining a world in which children aren’t restrained because they’re using other methods of communication that get misinterpreted as “behavioral issues” or “anger management problems” or “severe low-function”. I’m pining for the day when people aren’t simply written off for the duration of their lifetime. I’m envisioning a world of tolerance, acceptance, even embrace neurodiversity and the neurodivergent, much like we view–and value–cultural diversity today. I’m hoping that someday, we’re genuinely valued, included, and regarded with dignity, as the rule and not the exception. I agree all. Very important too. Great post. Yes the rule not the exception! Hey I only come here for the pictures. If I could become like NT’s I’d probably ask to be turned back to what I am now. All I want (probably all any of us want), is for them to show me the patience, understanding, and kindness that I need.